Primus Public School is affiliated to the Cambridge University and is an approved CAIE – Cambridge Assessment International Education (IN652). Students at Primus Public School have done very well in the IGCSE Board Examinations. Our results have been outstanding with some of the students winning accolades for scoring 100% and being adjudged the highest in the country and even the world! Syllabi across the globe are prepared based on age specific proficiencies and learning goals (For example, National Curriculum Framework in India; Common Core standards in USA; etc.). To suit our internationally mobile parent community, at Primus we have also followed these guidelines and created a system that synergizes learning requirements to suit both Indian and International syllabi. In this process, we use multiple resources (Cambridge specified material in Grades 8- 10, ICSE books for Grades 1-7, KG and Montessori practices in the Integrated Kindergarten Program) that help in the seamless integration of education through the K-12 years. This allows for easy transition to both the Indian and International syllabi. This system has also helped us create a learning environment that does not stress the children through their initial 10 years in school. A syllabus that is contemporary, continuously evolving and one that prepares the student to enter the finest portals of collegiate education in India as well as overseas. The curriculum developed by the school interests, engages and inspires students. It stimulates curiosity among children and invites active exploration. The curriculum awakens creative response and builds in young people a tremendous sense of accomplishment. Truly, one that lives up to the Primus motto ‘Aude Sapere’ – Dare to know. Beyond the oft touted goal of ‘excellence’ in education, Primus strives for meaning, quality and contemporary relevance. While not overlooking preparation for a distant future the School strives for discernable worth in the work which students and faculty engage each day. It is our earnest belief that these are true criteria to measure excellence. The learning sessions involve team-based and individual projects. 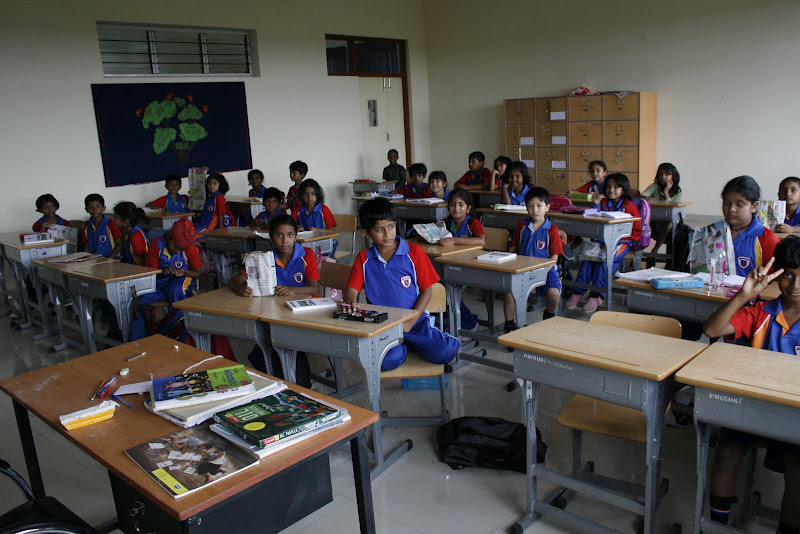 Classes involve audio-visual presentations, group discussions, debates and result in construction of knowledge. Students are encouraged to take up knowledge search, information analysis and presentations. Learning derived from this environment translates into a repository of knowledge and skills for decision support in the future. Community involvement is thoroughly interwoven into school life. 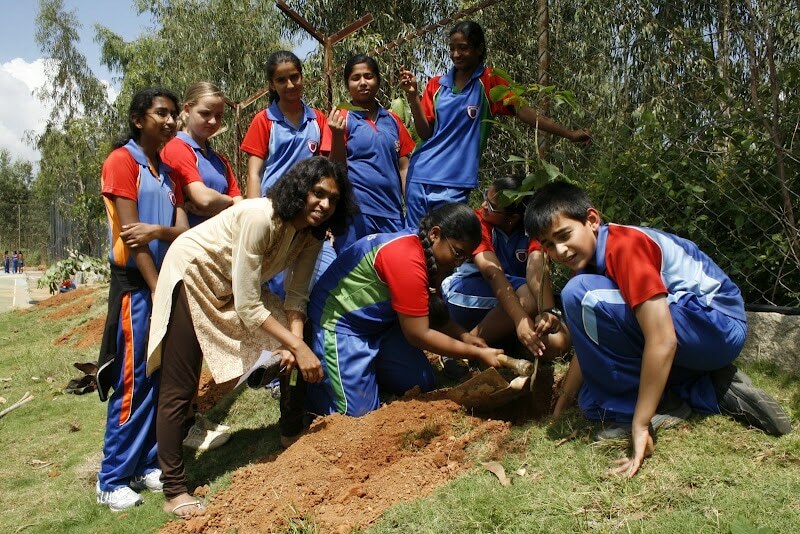 Faculty and students participate in community programs both in the city as well as in the surrounding rural environment. Primus firmly believes that values are central to the school’s identity.